How to download free Landsat imagery with USGS Earth Explorer? The USGS Earth Explorer is a similar tool to the USGS Global Visualization Viewer (GloVis) in that users search catalogs of satellite and aerial imagery. The USGS Earth Explorer is the new and improved version. Downloading data over chronological timelines. Wide range of specifying search criteria. A long list of satellite and aerial imagery to choose. Explore one of the largest databases of remote sensing data and create some of your own land cover classification. The USGS Earth Explorer interface uses Google Maps. You can zoom in and out with the mouse wheel as if you are in Google Maps. Google street view is also enabled, where you can drop a marker and get a real view of the location. First, you’ll have to create an account with USGS. In the top-right corner, click the Register button. As it’s a pretty painless process, you’ll receive instructions to activate your account. Users can double-click the browser to create regions of interest. The region of interest (ROI) is the geographic boundary that limits the search to acquire data. Pro Tip: The easiest thing to do is just to zoom into your area of interest. 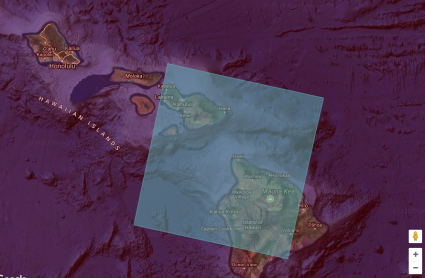 If you want to download free Landsat imagery for Hawaii, zoom into that area. Now, select the Use Map button. Immediately after, zoom out a bit and you can see that you now have an area of interest in your map. You can also set a timeline for aerial and satellite imagery downloads in USGS Earth Explorer. You no longer need to search through a long list of acquisitions to find the correct date. This is a powerful tool that narrows down your search and saves you time. The Datasets tab answers the important question: What satellite or aerial imagery are you looking for?. The USGS Earth Explorer remote sensing datasets are plentiful: aerial imagery, AVHRR, commercial imagery, digital elevation, Landsat, LiDAR, MODIS, Radar and more. 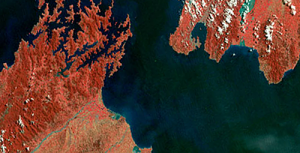 It depends on the date and time for which Landsat scene you can download. In the Landsat Archive group, the most recent Landsat imagery is L8 OLI/TIRS and L7 ETM+. The differences between the collections are based on data quality and level of processing. USGS will be classifying images into tiers based on quality and processing level. 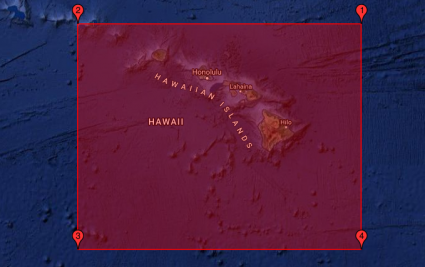 Now that we’ve identified our area of interest of Hawaii in step 1, you can select a checkbox in the Landsat Archive category. On-demand means that you will be notified by email where you can download surface reflectance products from a separate interface for processing and data delivery. 90% of people go into the “Additional Criteria” tab to easily filter out scenes with too much cloud cover. Now, you aren’t able to filter to obtain the perfect cloudless image everyone wants. But you can set the cloud level to less than 10%, and this is what most people want… unless you’re into meteorological studies. Specific the quality of the scene with Level-1 (L1) data products being the best available processing level. The Processing Software Version is what was used to generate that L1 product. For the average user, you won’t need to set a lot criteria. Other than cloud cover, you can move onto downloading your satellite imagery. Now that the date range, type of data and additional criteria are defined, the search results tab will populate with data sets that match your query. In the “Results” tab , you select the specific data set you want to download. But it’s good to check the footprint for exactly where that scene is located. You can also preview the data, which can be good to see exactly where clouds are in the image. Download the data by clicking the “Download” button. If you are going to performing analysis on the Landsat data, the Level 1 GeoTIFF data product is probably the one you’re after, which will be the largest file size. The USGS Earth Explorer gives a quick and intuitive way to download free aerial and satellite imagery. This tool gives a wide range of options. You can define the time period, geographic extent and imagery type. Test it out for free downloads of remote sensing imagery and more. Search data sets and download. Well, you downloaded the satellite data for some reason, right? What can you do with satellite imagery once you have it? If you want more satellite, this list of 15 free satellite imagery sources should quench your thirst. On a side note, USGS Earth Explorer now warehouses Sentinel-2 data. This is really your best option for crisp 10-meter continous coverage of the planet. If you want free satellite imagery, there’s no better way to do it then follow this incredibly useful guide. We rank the best sources of free satellite data. There have been 8 Landsat satellites. One didn’t make it to orbit but 7 satellites did. Since 1972, the Landsat program has been tracking Earth’s resources. Turbo-charge your search for free GIS data with this list of 10 free, downloadable global GIS datasets from highly reputable sources – vector and raster. Under the Data Sets tab. Expand EO-1. Select EO-1 Hyperion. This will give you hyperspectral data. Suggested next topic: “I’ve downloaded imagery, now what?”. Would love to know the basics of processing this data once I grab it from the USGS. Good work on this! Cheers! In the time filter, you have to enter MM/DD/YYYY – so in your case it would be 01/01/1985 to 12/31/2015. From there, you have to choose the Landsat archive where you can download Landsat TM, Landsat ETM, OLR/TIRS, etc. Guys, try to use https://lv.eosda.com/ to grab free satellite Landsat 8 or Sentinel-2A imagery. Also number of Indices, suitable for geology, vegetation studies etc. generated to your browser on-the-fly. Wow, no instructions on how to download imagery, just vague waffle. You need to give clear and concise instructions. I would rather the Earth Explorer was a program/site that was *usable* instead of inept but if you are going to have an article called “How to download free Landsat imagery with USGS Earth Explorer?” the least you can do is provide instructions. Hi Jim, thanks for the comment. I have updated the article hoping that it’s a bit clearer. Let us know specifically where you are having issues… As with everyone, we are happy to help out wherever we can. Does anyone know if the server can be access by TMS, WMS or WMTS tile maps. Is there copyright limits on the imagery as with anything that has to do with Google…. In general, the USGS Earth Explorer is US-based satellite data. 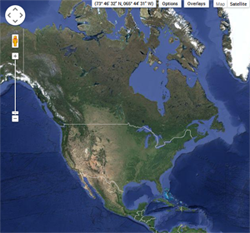 The basemap is Google on the USGS Earth Explorer. When you download other data say Sentinel-2, it will prompt you with information on ESA’s restrictions. Sorry, I may have misunderstood your question. Are location coordinates (i.e. GPS data) in Earth Explorer subject to copyright restrictions? From USGS Earth Explorer, you can download SRTM 1 ArcSecond which is about 30-meter pixel size. Under the “Additional” tab is how you can set the cloud cover. For example, you can filter scenes which have less than 10% cloud cover. Like many others, this is all Greek to me. However, the reason I am looking into this at all, is that we need the satellite data and a means to interpret it in order to update our old floodplain maps. It does not need to be official or certified, just reasonably accurate. How difficult would this be to accomplish, and how big of an area can we cover? In Earth Explorer, you can find this in the “data sets” tab. Next, expand “Digital Elevation”. Then, you’ll have to expand SRTM which is at the bottom. Go through the steps for picking your area of interest and download the “SRTM 1-ArcSecond Global DEM”. I followed these instructions (they’re very clear and helpful–thank you!) but when I reach the end and “click here to download results”, there is no geoTIFF option, just csv, shapefile, kmz, and some other random formats. (I was looking at an area including the US Northeast and tried both the L8 OLI/TIRS and L7 ETM+ layers from the Collection 1 Level 1 Landsat data.) I chose the shapefile as it seemed to be the best option–I’m just trying to get a basemap image. All the documentation I can find online says that satellite data usually comes in single color band raster layers that you can stack to get the composite image, but this shapefile I downloaded has a really confusing structure and I can’t figure out how to read it as a normal image (I’m using the raster and sf packages in R). When I try to plot it, I just see a random array of colored panels. How do I either transform this shapefile into the correct satellite image, or download the geoTIFF files? 1. So you set your “Search criteria” – I usually just zoom into my area of interest and click “Use Map”. I zoom out and I can see that this area in red has been highlighted and is will filter out my selection to this area. 2. In the “Data Sets” tab, click the plus symbol for Landsat. 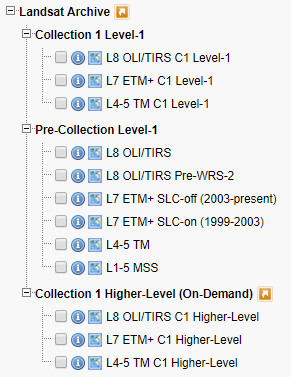 As you mentioned, click Landsat-8 OLI/TIRS C1 Level-1 or Landsat-7 ETM+ C1 Level-1. 4. Finally, in the “Results” section – click on the “Download Options” button and choose the GeoTIFF that’s largest in size (Level-1 GeoTIFF Data Product). So there shouldn’t be a shapefile in here that you can download. I was able to understand most of the information here but I’m confused about something. If I want to do research about air pollution or air quality, what data set should I mark? And after I get them how do I proceed? Here’a bit more information on the bands available for Landsat 1 to 8. Scroll down to band designations. After you download the data, you’ll want to examine the spectral properties and some of the characteristics they are better at picking up. For example, you may be interested in the thermal infrared and SWIR bands. But you may want to look at some of the other research articles that have been published. NASA’s Earth Observatory has air pollution (carbon monoxide, aerosols, etc) already in monthly products. I have latitude and longitude numbers to 1/10th a degree to view images of location in the infrared spectrum. Can you accommodate me?